Black Sabbath will mark the release of "13" with a special live event the day of the album's release in the US (June 11th). Ozzy Osbourne, Tony Iommi and Geezer Butler will participate in the Black Sabbath Town Hall via Google+ Hangout streamed live on YouTube and Google+ and broadcast live on Ozzy's Boneyard on SiriusXM at 7:00 p.m. ET. 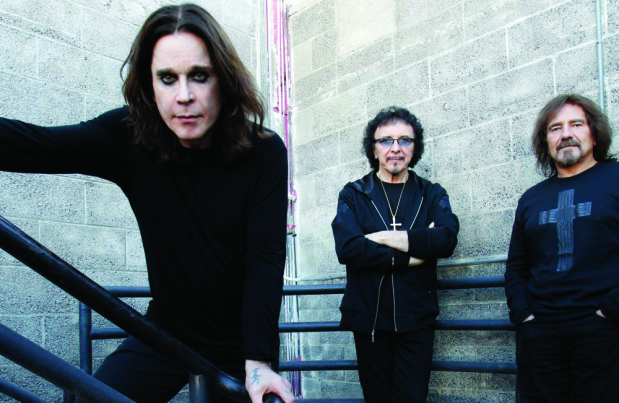 Ozzy and Geezer will appear from the live event at Angel Orensanz Foundation For Contemporary Art, with Tony Iommi beaming in from Birmingham, England, while drummer Brad Wilk and Ozzy's son Jack Osbourne (who directed the clips to launch the album) will join live face-to-face via Google+ Hangout from Los Angeles.